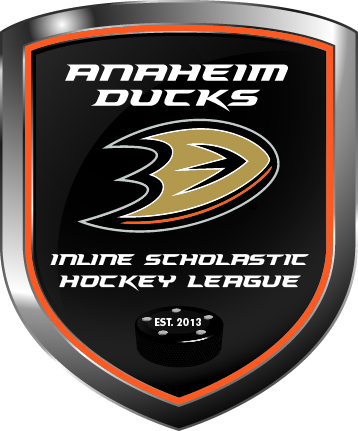 The Mater Dei Inline Hockey team plays in the Anaheim Ducks Inline Scholastic League (ADISL). Most games are held at the The Rinks-Irvine Inline. The season runs from October through March. We usually play one day a week mostly on Sunday afternoons. 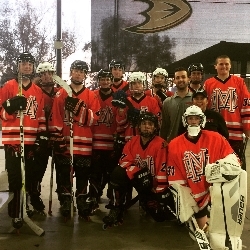 The team also participates and volunteers at the Give Blood Play Hockey tournament each year to help raise money for the Children's Hospital of Orange County (CHOC) and blood for the Blood Bank. We still have spots for the 2018-2019 season. 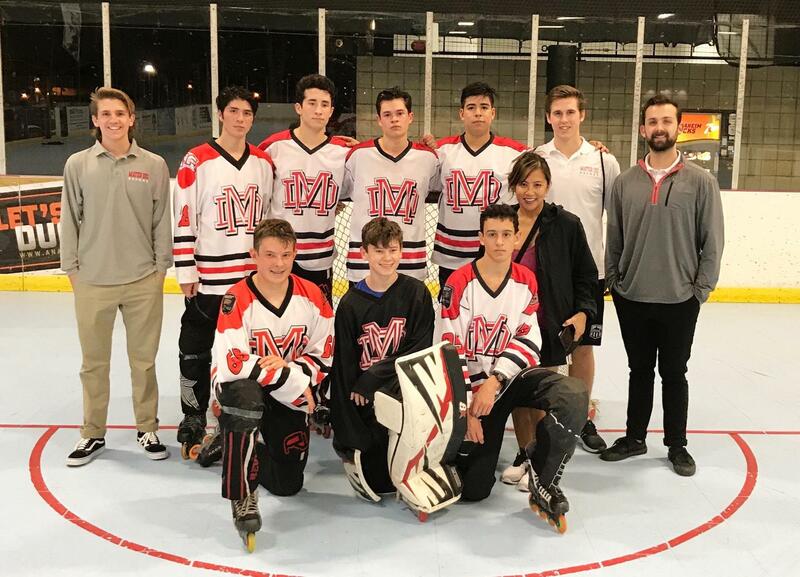 If you are interested in playing, contact Ms. Castro, the Hockey Club Moderator at mcastro@materdei.org. All skill levels are welcome!